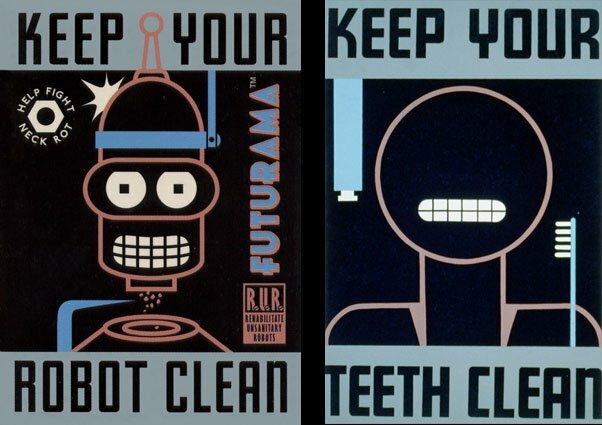 Futurama has a series of posters that have a retro look. I didn't realize how inspired they were by wold WPA posters until I found this old "Keep Your Teeth Clean" PSA. I've assembled 11 Futurama posters next to (what I think) was the inspiration for them. Enjoy! If you use this image elsewhere, please link back to this post.